The time to announce another LMS integration has come! Now Unicheck has become available for 12 million of the Schoology users. Thus, instructors will be able to strengthen academic success of students by giving advice on how each submitted paper can be improved after being checked for similarities. Let’s move on to some specific possibilities the Schoology LMS users get by using the Unicheck App. To start using the Unicheck full functionality is simple. 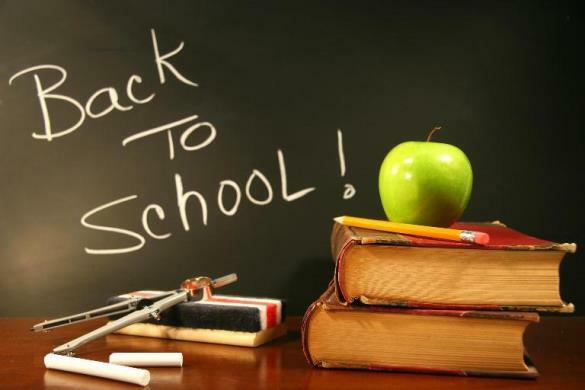 Firstly, it’s necessary to pass through a quick university account registration at unicheck.com. Secondly, your system administrator should make initial setup which is done only once by following simple instructions. Once the Unicheck App is installed, get the ball rolling! 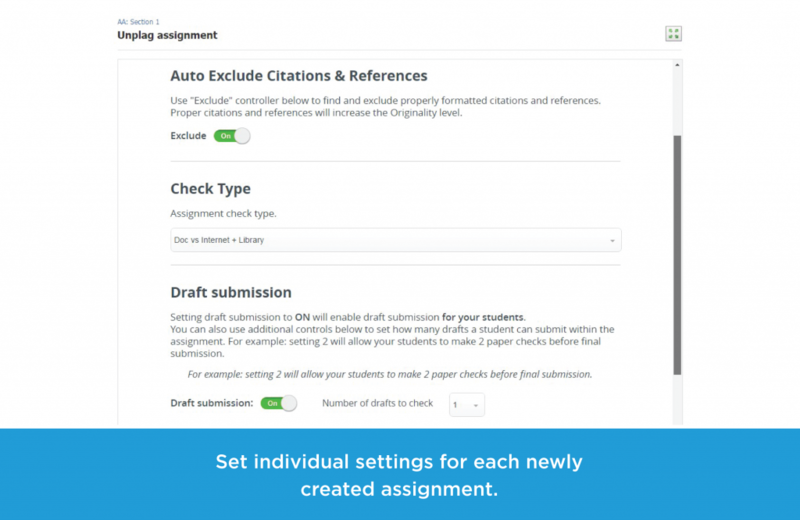 Create a new assignment and adjust the checker’s settings the way you need. What Unicheck Features Can Come in Handy for Educators? Adjusting search sensitivity by indicating percentage of similarities to be omitted from search results. In the screenshot below you can see how the page with the Unicheck settings looks like. 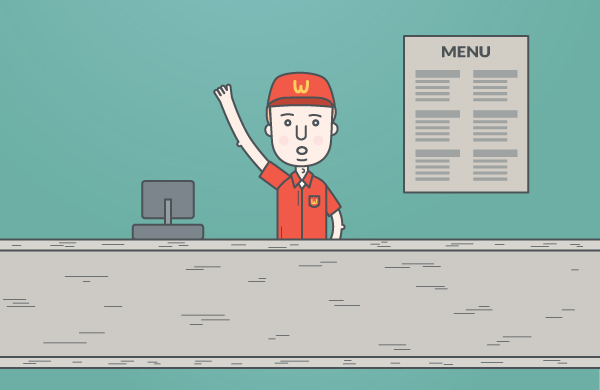 How Can Students Benefit from Using Unicheck ? 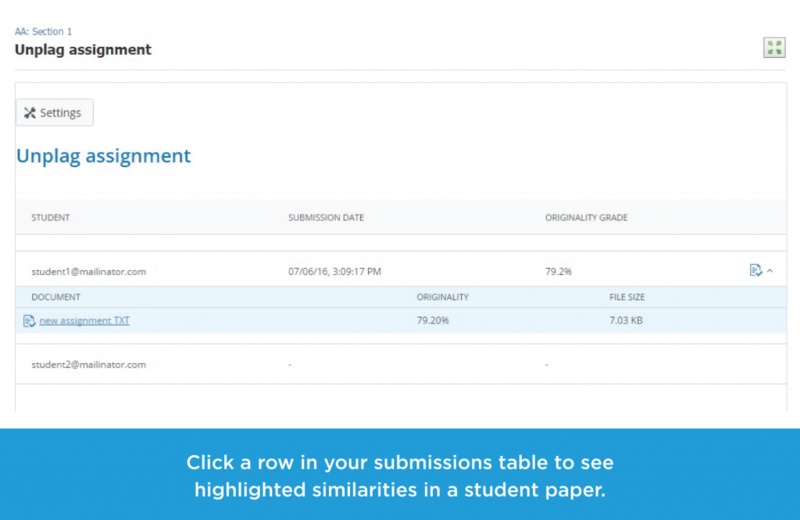 Once an educator enables a Draft Check option, students will get access to the Draft folder in the Unicheck assignment and will be able to upload their papers and check them for possible text matches. Unicheck supports the most popular document formats (.txt, .pdf, .doc, .docx, and others) and allows to upload and check several papers at a time at four seconds per page speed. That’s why students won’t have to wait for too long and will be able to receive interactive reports with all the duplication highlighted and a list of links to original sources. If needed, students can download reports in .pdf and view the match in the source. 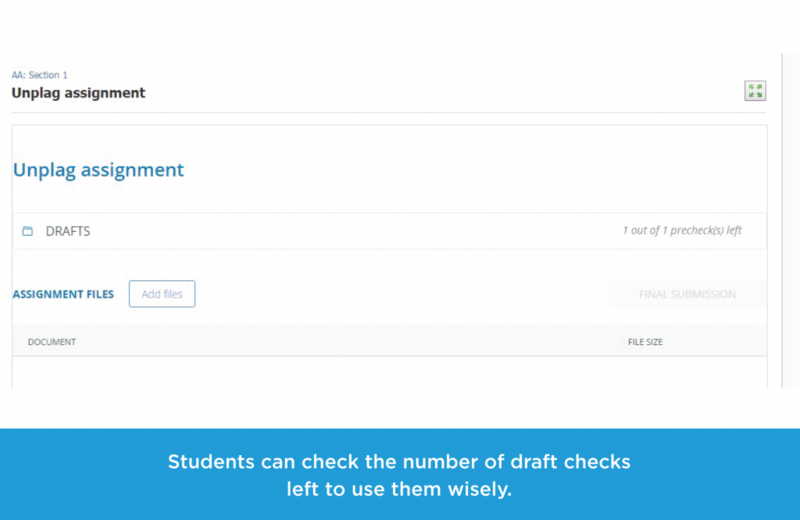 All draft check reports are accessible only to students, so that they can feel more privacy when checking their drafts. When no more draft checks are left, students submit their papers. What Happens After Papers are Submitted? Educators receive already checked submissions. To open a report, click on the submission to access the link to the Unicheck report. Each report includes percentage of similarity and originality as well as percentage of citations and references used. This will let you understand how big a student contribution was and whether he or she succeeded in carrying out a deep research or simply collected a number of scholars’ quotes. Similarities in the Unicheck report are highlighted in yellow, citations – in blue, and references – in purple. If a student tried to cheat the checker and replaced some characters, Unicheck will show them in red and still will be able to provide relevant check results. If percentage of similarities is too little, click the Omit Source button and exclude it from the search results. Similarity rate is updated automatically. To explain your evaluation criteria to student or suggest a few tweaks, make use of the commenting feature. 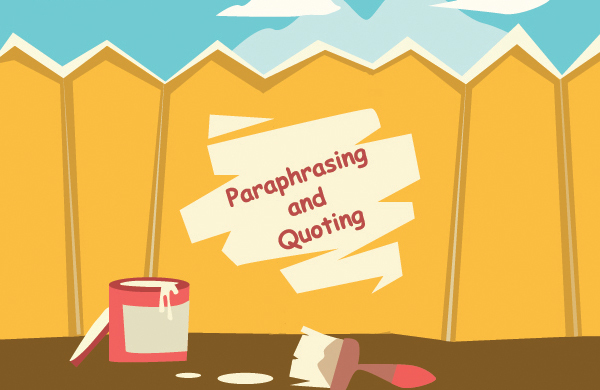 It allows an educator share feedback with students in no time. 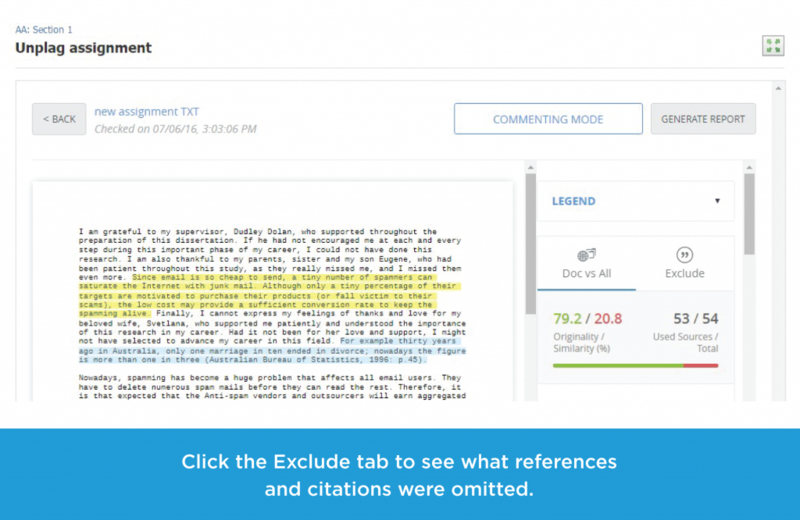 Comments can be edited or removed by teacher at any time. So, this is about time to grade all the scanned papers. 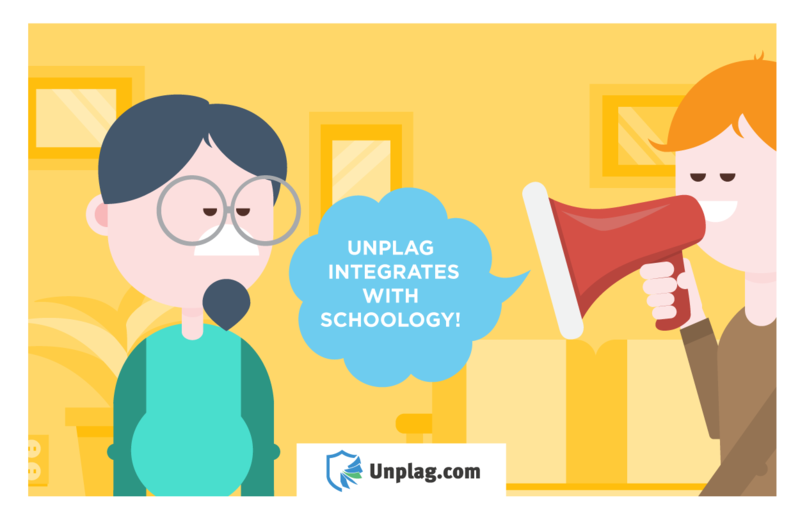 Unicheck supports the Schoology grading tool allowing instructors and students work with the functionality they used to. As usually, we’re pleased to tell you that more Unicheck upgrades are on their way. Thus, the more goals we reach, the more tasks appear on the horizon. That is the reason to work even harder and share our Unicheck news with you the moment another great feature is rolled out. So, let’s keep in touch.